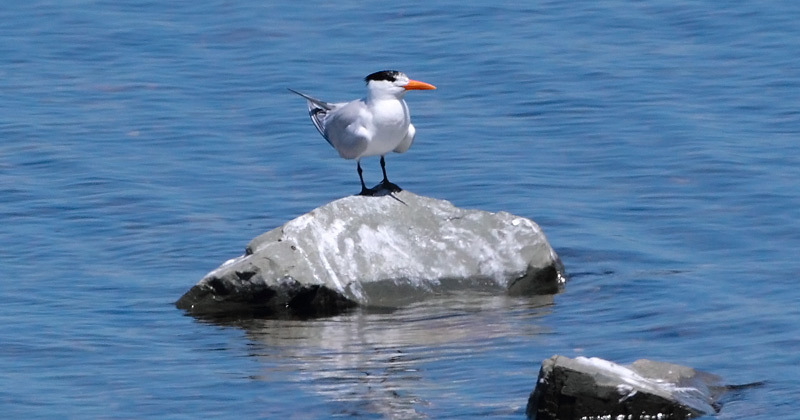 This was one of two Royal Terns that were found and photographed at St. Vincent’s (southeast Avalon) on July 9, 2012 – marking the fifth record for Newfoundland and the first “twitchable” (at least for a couple hours, when both flew off in different directions!). Origins: Breeds along the Atlantic coast from Virginia to Texas, and along the Pacific coast of California and Mexico, wintering further south. There are also colonies on the west coast of Africa. It is a rare but regular wanderer further north, especially following tropical storms and hurricanes. 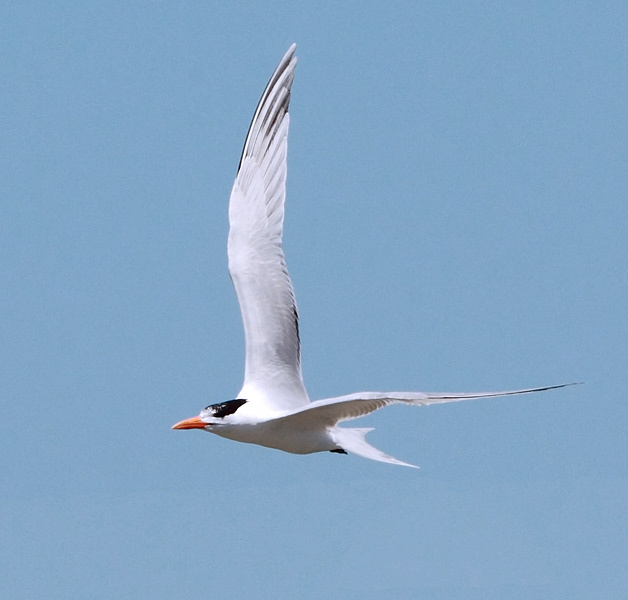 Record Details: Six records for Newfoundland – all in summer: (1) Point Verde, July 10, 1983; (2) Placentia-Point Verde, July 31 – August 3, 1985; (3) An undated specimen from the Great Northern Peninsula was banded in Virginia; (4) Bay Bulls, June 27, 2000 (photographed by a tourist on a whale/bird watching boat tour); (5) Two individuals were found and photographed at St. Vincent’s on July 9, 2012 – first reported by a visiting tour group; and (6) One individual photographed at Cape Race on July 22, 2016 was likely the same seen five days later at Renews (July 27, 2016). There have been at least two other compelling but unconfirmed sightings.